Palyan Law, A Professional Corporation, is dedicated exclusively to the practice of family law, delivering exceptional representation based upon the recognized experience, expertise, and qualifications of Tigran Palyan, Esq. Involvement in the Legal Community: Mr. Palyan is one of the youngest attorneys ever to be appointed as a member of the Executive Committee of the Los Angeles County Bar Association (LACBA) Family Law Section. He served as Chair of the Trial Readiness Clinics Committee, established by LACBA to help self-represented litigants prepare for trial in their family law proceeding. He also served as Vice Chair of Section Membership, Outreach, and Development Committee. 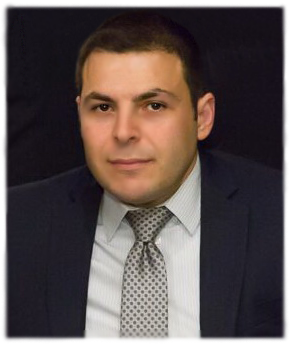 Mr. Palyan also served as Co-Chair of the Student Affairs Committee on the Armenian Bar Association, and is often asked to present at various speaking engagements designed to help law students excel put on by various professional organizations and local law schools. Mr. Palyan was recently appointed as Legislative Liaison for the executive committee of the California State Bar Family Law Section. Honors: Mr. Palyan has been recognized as a Southern California Super Lawyers “Rising Star” for 2014 - 2018, and a Southern California “Outstanding Young Lawyer” on Los Angeles Magazine’s “Top Attorneys” List for 2014 - 2018. He has received public recognition for his community contributions from Los Angeles County Supervisor, Michael D. Antonovich, and a certificate of recognition from U.S. House of Representatives, Congressman Adam Schiff. Mr. Palyan also received commendation for his achievements from Archbishop Hovnan Derderian, of the Western Diocese Church. Finally, Mr. Palyan is a graduate of the prestigious National Family Trial Institute, a vigorous and intense training program taught by the nation's leading experts, attorneys, and judges. Palyan Law, A Professional Corp.